Coffee became a part of my life, though, sometime during my late teens. I don’t remember how much I drank, and it didn’t seem to be a problem. In the early 1970s, I became a spiritual aspirant, and the idea of giving up things was in the air. Meher Baba, my own Spiritual Guide, didn’t insist that anyone become vegetarian, although he said that in the future, the entire world would refrain from meat. 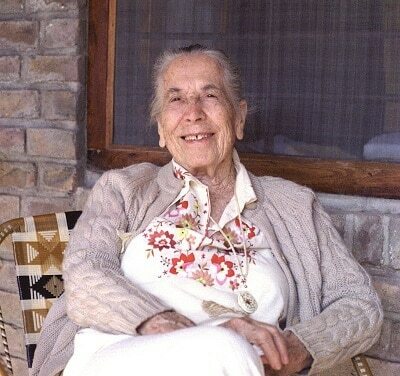 Asked about diet once, he replied, “What comes out of your mouth is more important than what goes into it.” The idea I got from my contact with those who’d lived with Baba was “moderation in all things,” except love for God. 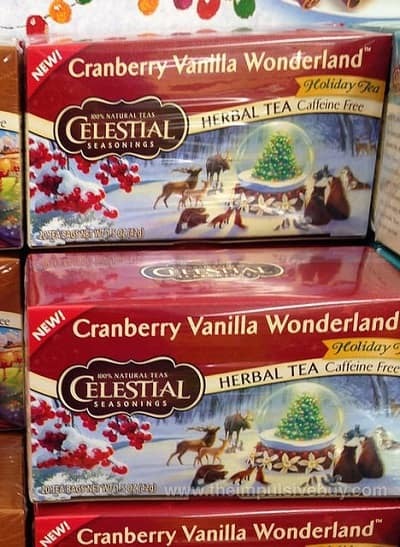 In the 1970’s, the Celestial Seasonings herbal tea company became quite prominent in America. Every supermarket sold their beverages. Now there was a public face to the idea of a “new” and healthy kind of drink. 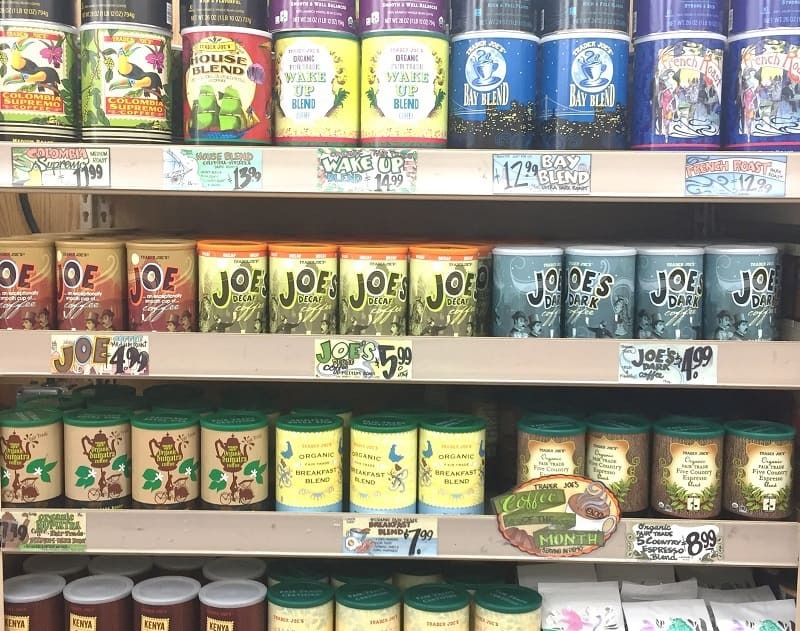 I, and (I think) a lot of my generational companions believed that eventually, these teas would eclipse coffee and even caffeinated teas for us. 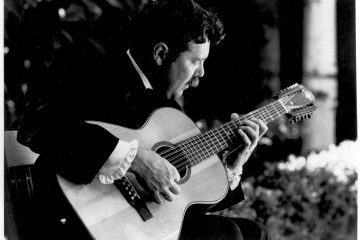 In late 1981, a great Adventure began in my life when, following “the silent voice of the wind” that had been guiding me for several evenings, I stuck my thumb out on a Mississippi River bridge in St. Louis, my hometown, and ended up moving to the community surrounding the Meher Spiritual Center in Myrtle Beach, South Carolina. Meher Baba’s close disciple Kitty Davy, on pilgrimage in India. Since another person in the community said the same thing to me soon after, I decided to put some stock in their words. With an heroic effort, I made the transition to an all-decaf regimen. That seemed to remove whatever smell or “vibes” I was giving off to elicit such comments. Life went on. I resumed drinking regular coffee in moderation a year or two later, and it seemed OK. Sometimes I’d mix regular and decaf, and sometimes use pure decaf, but regular was what seemed like “the real thing.” I drank what seemed a reasonable daily amount: a cup or two in the morning and maybe another at lunch or in the afternoon. If I had a cup after around 2 p.m., especially when I was living back in St. Louis and working as a taxi driver or a delivery guy, slugging down White Castle’s strong blend, I’d as likely as not find myself lying awake in bed at 2 a.m. wondering why—and then remembering. 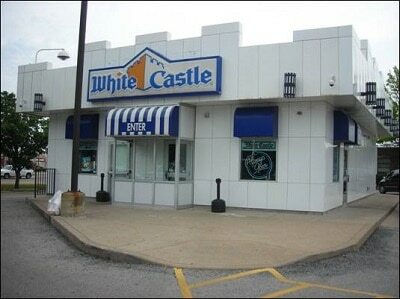 White Castle in St. Louis, Missouri. The chain is known for its very strong coffee. But, in truth, I’ve been engaged in something of a struggle with coffee for a long time. My wife Barbara and I have known one another for 19 years now, and she reminds me that, all that time, I’ve had a tendency to blame any sense of ennui or inertia on coffee. Because of my mythologizing—the imaginative gestalt behind my physical relationship with the substance—I didn’t give up coffee. This past year, Barbara and I decided, though, to make our daily home brew half-decaf. That was as far as I’d go. However, I had to admit, in my private assessments, that the ennui and inertia, the “fog” I found my consciousness trying to struggle out of, was gradually increasing. To counter it, I upped the amount of time I spent in devotional practice. If I went in my little meditation room for an hour, I could usually shake the fog and come out feeling a strong connection with Baba. Like the American poet William Stafford, who wrote a well-known essay about his process, I’d often “noodle around” in a notebook until I was able to strike some sort of “pay dirt” that would become a poem, essay or story. On days when I wasn’t already working to edit a first draft or construct a piece from notes, my routine also resembled Julia Cameron’s Morning Pages exercise, suggested in her book The Artist’s Way: A Spiritual Path to Higher Creativity. Recently, however, I began retreating from having “creative time” at all. I’d brew coffee, go to the computer, do my reading and email replies, have breakfast—and go back to bed for an hour! Later, I’d do devotional practices before leaving for work, and with that help, I was able to keep functioning in my public life. But inside, I was beginning to panic. In the tug-of-war between my—let’s use the word addiction—to coffee, and whoever or whatever didn’t want me to drink it, the balance of power seemed to have shifted. Typically, God doesn’t send you a telegram or letter with your name on it, saying it’s time to wean yourself from a certain habit. It seemed that I’d been given a long rope—years in which to continue this internal struggle. I functioned pretty well, most of that time, but with slowly diminishing results that I had to acknowledge. Now I was at the end of that rope. How could I live without coffee? Because of my imaginative, as well as physical attachments, it didn’t seem possible. One day, during this period, Barbara was busy with a work project and asked me to go to Trader Joe’s and do our food shopping. As I rounded the last aisle, I saw the coffee display and took a self-pitying look. 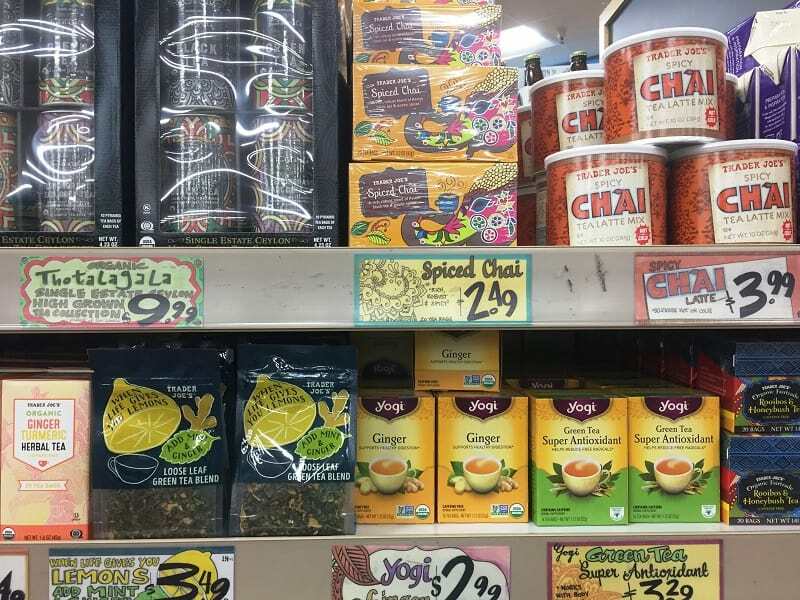 Then, in the adjacent tea area, I noticed a shelf with two different kinds of chai tea. Now, Barbara and I both love to order chai (we consider the phrase “chai tea” redundant) when we go to an Indian restaurant. For years, she made her own brew at home every few days, one which happened to contain too much anise for my taste. I decided to buy a box of TJ’s chai bags, and the next morning, experimented with drinking it instead of either coffee or decaf. I’d been given an extra-large mug during the holidays, so I decided to use that. 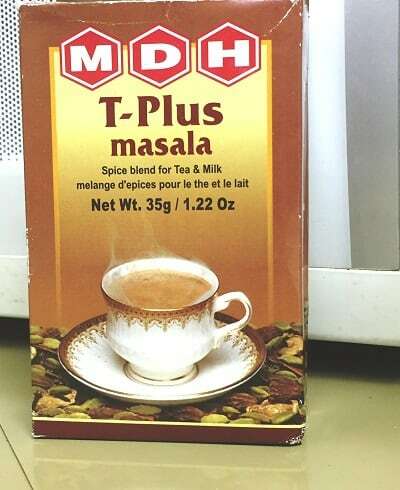 I mixed water and half-and-half, put in a tea bag, and added some “chai masala” that I had in the back of a kitchen cabinet to enhance the Indian flavour. I put the mug in the microwave, sweetened the warm beverage and sipped. Tasty! The flavour was close enough to the brews I enjoy in restaurants that I felt I could drink it and not be pining for coffee. Since then, I’ve had only chai, in the morning and at lunch! I haven’t had any coffee or decaf; and I’m satisfied. I’d not realized, when my coffee addiction had seemed so hopeless and I’d felt so desperate, that if a satisfactory substitute—one that I really enjoyed—could be found, then I could let go of that coffee cup, replete with its imaginative baggage, that I’d been clutching so tightly. Coffee is the second most traded substance in the world, after oil. But after many years, the author came to realize it was no longer serving his true needs. 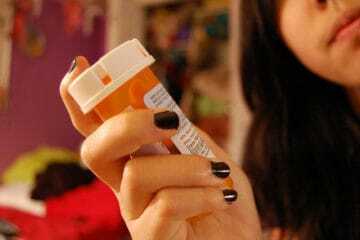 Addiction might be the contemporary name of the Devil. Certainly, it makes up a large part of the concept of Maya, or “that which opposes the Spirit in daily life.” A popular book called We Neurotics: A Handbook for the Half-mad by Bernard Bassett, published in 1962, might be titled We Addicts if it were published today. The mysterious urge to repetitive habits that don’t nourish the spirit is, of course, the subject of many books and programs—and articles in The Mindful Word. It’s possible to go to a group and remain in denial, and it’s also possible to work by yourself and face truth. I don’t have a ready-made solution for everyone’s problem with every addiction. Like many others, I’m a veteran of years of 12-step programs, which helped me survive and brought some transformation during the crucial years of the ‘80s and ‘90s. I discovered that it’s possible to go to a group and remain in denial, and it’s also possible to work by yourself and face truth. Most of the time, for me, facing truth and actually taking action to change usually comes after “hitting bottom”—at a time of desperation when it becomes impossible to fool myself any longer. The road to God, the road to the self, is not an easy road. Note: Most chai contains caffeine, although decaffeinated tea bags may be used. However, as a nutritionist told me long ago, “caffeine in tea is different.” Each of our bodies is different. The only way to discover the effect of a tea is to try it! Thanks for this piece Max. I too love the comfort of a warm beverage in a cup! When it comes to coffee however, I think I’ll have to give myself a little more rope! Hot or cold, I not only enjoy it, I also realize that ascribing certain terms to my enjoyment of anything creates an opportunity for someone to draw a line between my behavior and anyone else’s. What is ascribed as an addiction by one person, might be ascribed as a predilection by another. It is at that point where my use of “however” becomes key. You my friend are are a unique self residing within in an essentially standardized vessel. The problem today is, the more we learn about that vessel and its response to stimuli is based on a measurement. Which leads to limits being established as above or below a baseline that I believe serves only as a means to control people and their habits. It’s not difficult to replace a nebulous, ethereal term such as “moderation” or “enough” with a hard-straght line term called “legal” or “criminal”. The body, my friend can be controlled by “legal” and “illegal” yet the self is ultimately the part of ourselves that gets punished. The receptors of our vessels only serve to allow for the measure of our behavior, and that my friend is unacceptable to my self. If I can be called an addict based on how much caffeine I ingest, then what’s to stop a “legal” authority from calling me an “addict of methamphetamine” neither of which is determined by the amount of its specific chemical components as it is by the levels of the chemical response by the same receptors and the release of endorphines! Believe me, that kind lady who whispered in your ear was delivering a message from and to our “selves” which is the real truth she conveyed. In this world every “body” indulges, what’s important is to stay true to our “self”. For myself, I’ll keep taking my coffee the way my body likes it for knowing that my “self” cannot be addicted to anything but love, which cannot be measured!